A true story about a man who repeatedly rejected the gift of a Bible. 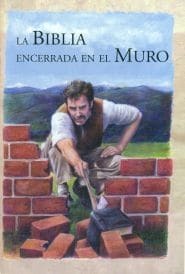 Hoping to rid himself of a Bible kindly offered him, Antonio buries it into a brick wall. In God’s amazing ways, the very same Bible returns to him, at a time when he is more inclined to listen to the Word of God. A story which has taught many to reverence and value the privilege of having God’s Word. The book also includes a second story, The Harvest Home, which speaks to the heart about whether we have truly learned to be thankful for the many blessings which our God is constantly showering our paths with. The gift of a Bible – rejected, but it keeps coming back! 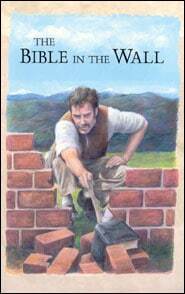 The Bible in the Wall is a true story about a man who repeatedly rejected the gift of a Bible. Hoping to rid himself of a Bible kindly offered him, Antonio buries it into a brick wall. In God’s amazing ways, the very same Bible returns to him, at a time when he is more inclined to listen to the Word of God. A story which has taught many to reverence and value the privilege of having God’s Word. The Bible in the Wall is one of the eleven volumes in our prized and most popular set of stories: The Children’s Character Building Collection. 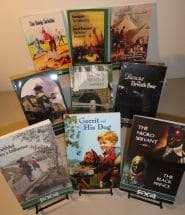 One of the best gifts you could ever give a child are the eleven stories of our renowned, classic 19th century Children’s Character Building Collection. And this new printing of the collection is the highest-quality edition of them ever done. All 11 volumes have beautiful new art, hand-painted covers. This is our all-time favorite set of children’s stories from last century, and all with fresh artwork that captures the feel of that era! Each of these delightful volumes is full of Biblical truth, presented in the most winsome possible stories, sure to warm the heart and teach the mind of every family member. The reading level for this set is often said to be 4th – 5th grade, but we find children of all ages enjoy them, and even adults often tell us they find them delightful to read. Check each of the books in this area of the site, for its own full description. They make wonderful read-alouds to children from K through 3rd grade too. 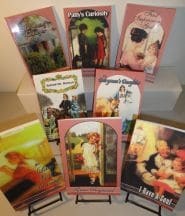 Also see the Children’s Character Building Collection Study Guide compiled by Dennis Gundersen. It’s a new resource which will equip your family to make these stories more practical and memorable than ever!